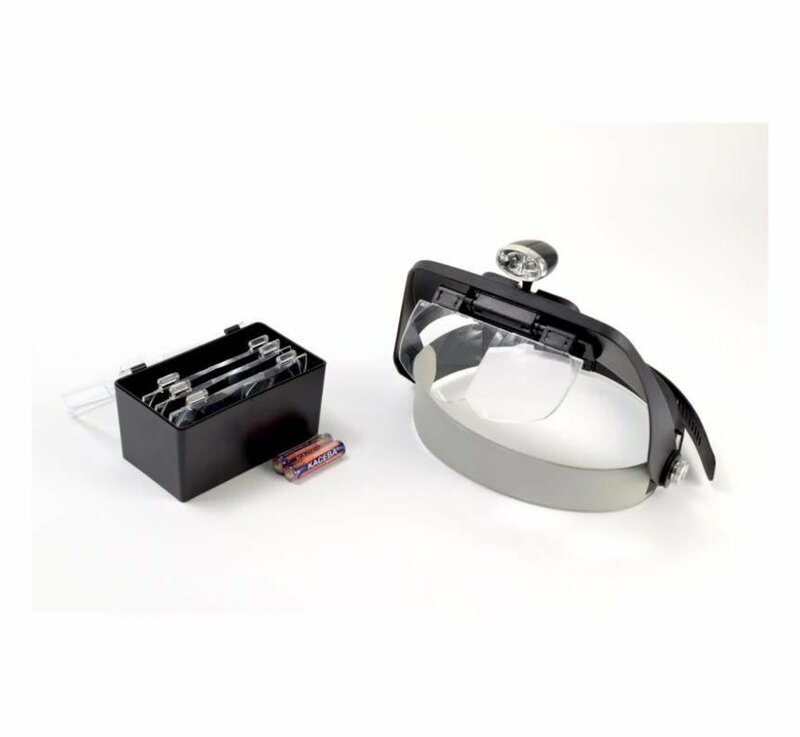 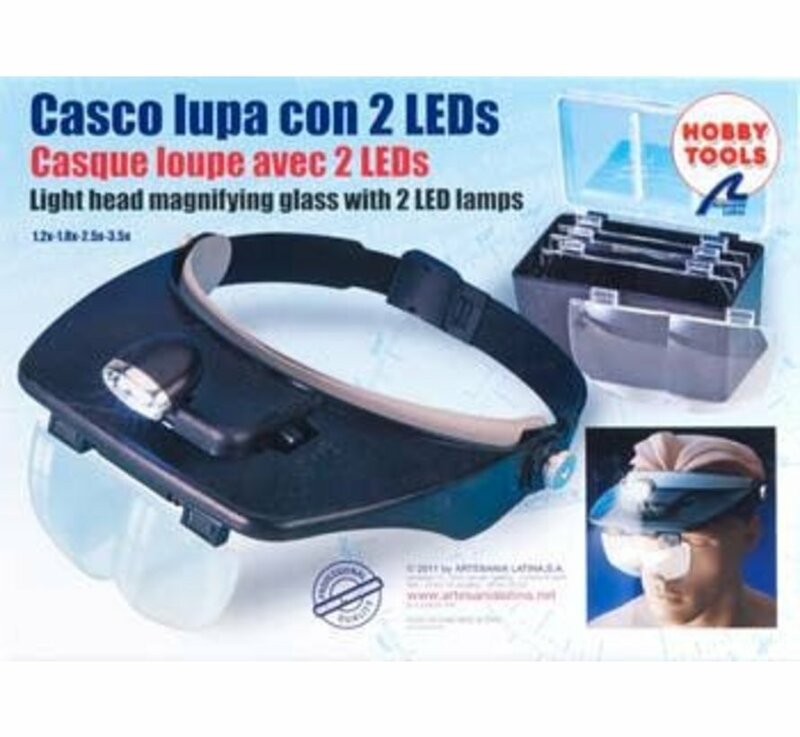 Magnifying glass with two LED lights headsetfor modeling and other crafts that helps the vision of small parts and allows to build models with greater precision. The support for the head helps manual work because the hands are free. It has four lenses for different magnifications according to the needs of the modeler. Fundamental in our modeling tools box.